This story originally appeared on Mongabay’s website. 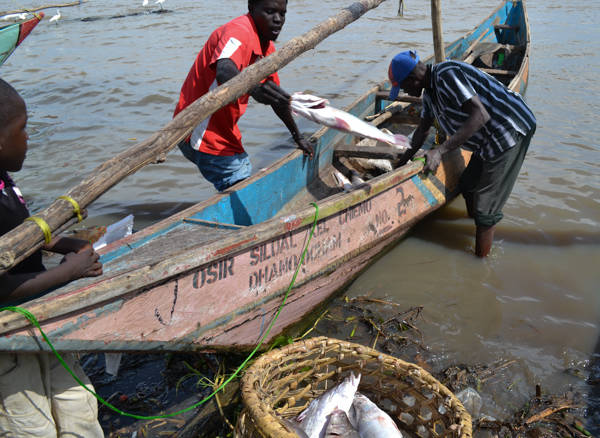 Fishing gear stands ready next to the day’s catch on the shore of Lake Victoria. 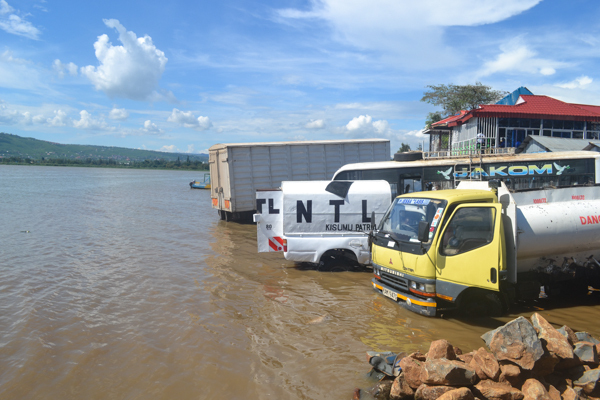 Photo credit: Isaiah Esipisu.Lake Victoria, Africa’s largest fresh water body and the world’s second largest lake, is no longer fresh.The lake is choking with pollution from industrial and agricultural wastes, as well as raw sewage from Kisumu, Kenya’s third largest city of just under 400,000 residents. 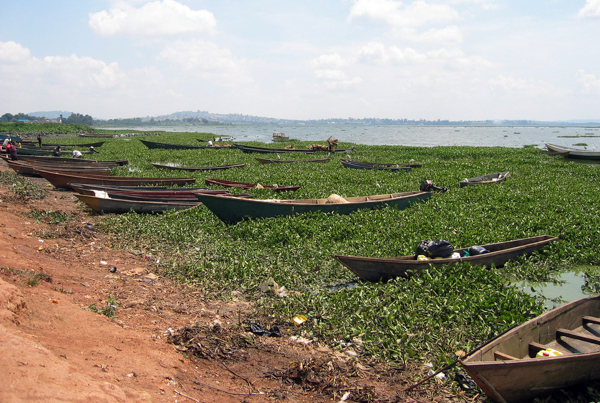 Its problems are compounded by illegal fishing, catching of juvenile fish, and infestation by the invasive water hyacinth (Eichhornia crassipes). 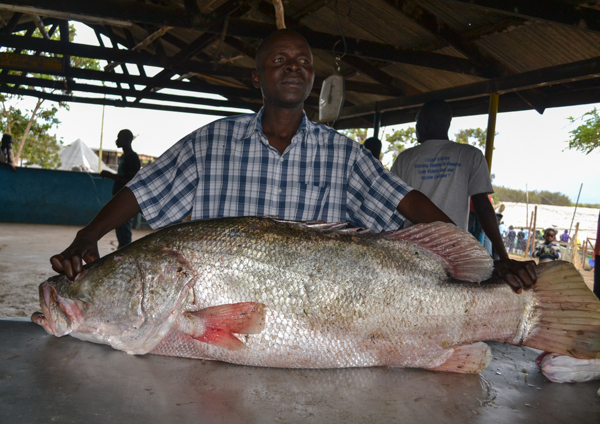 And there’s also the carnivorous Nile perch (Lates niloticus), an introduced behemoth of a fish that can grow to 200 kilograms (440 pounds) and has already wiped out nearly half of the 500-plus endemic species of Victoria cichlids — colorful fishes that once thrived within the lake basin. 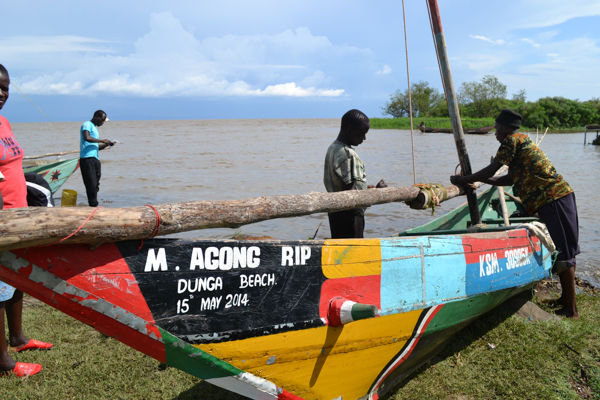 “This lake is in a very sorry state,” Moris Okulo, a trained ecologist who has worked as a guide at the lake’s Dunga beach in Kisumu for the past 20 years, told mongabay.com.”Everything about the lake is wrong. 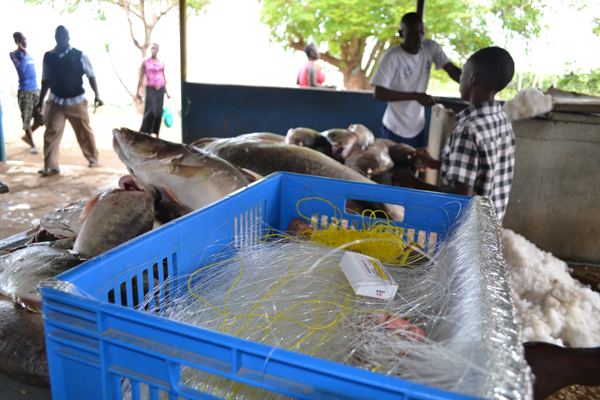 Fishermen are using wrong fishing gears, but nobody arrests them. 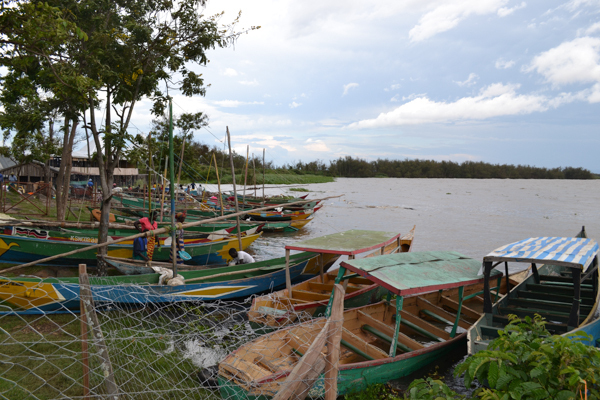 Industries are discharging waste into the lake, but no action is being taken. 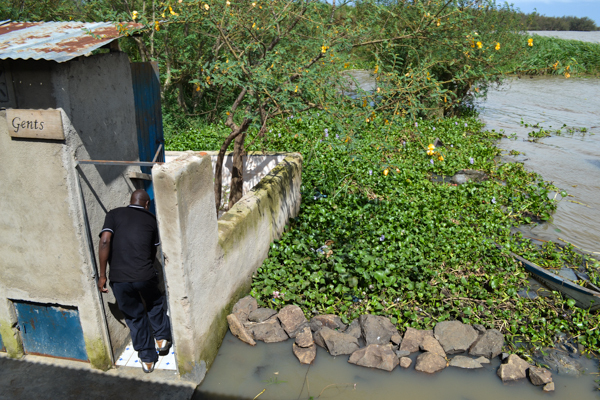 Some people have built structures including latrines inside the lake with the knowledge of law enforcing personnel, but nobody is even talking about it,” he lamented. 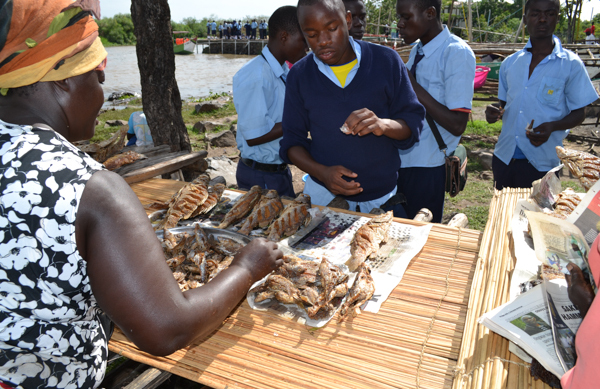 Moris Okulo, an ecologist who works as a guide at Dunga Beach in Kisumu, Kenya, displays mature tilapia from Lake Victoria. 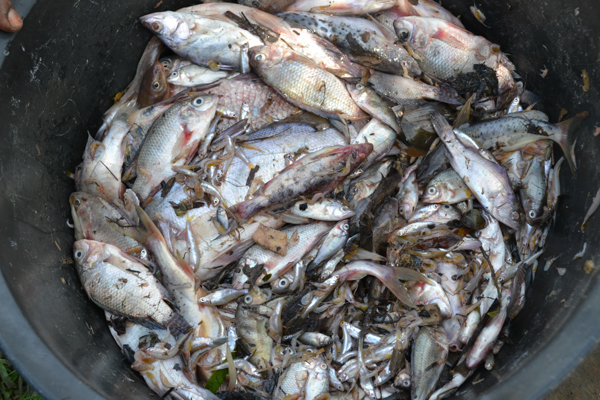 He says many fish species have disappeared from the lake. 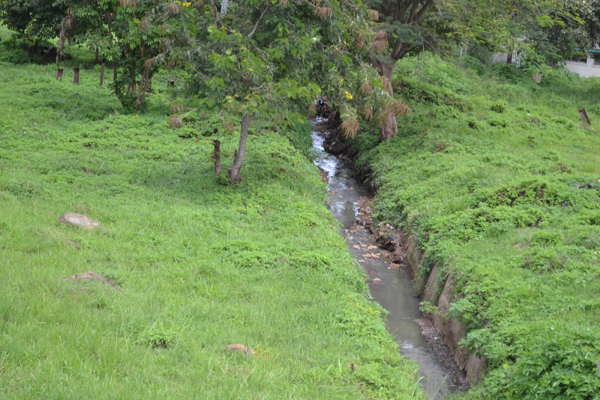 Photo credit: Isaiah Esipisu. 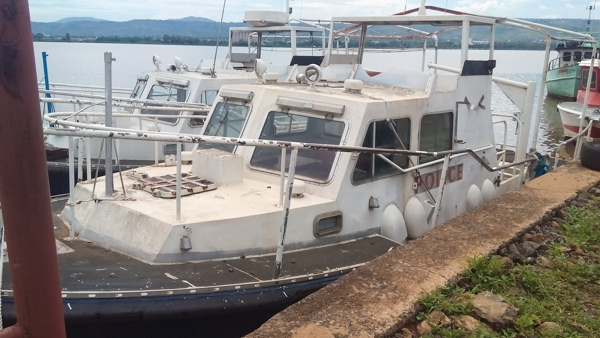 Mdegela R.H., Mabiki F., Msigala S., Mwesongo J., Mhina M.P., Waweru K., Mbuthia P., Byarugaba D.K. 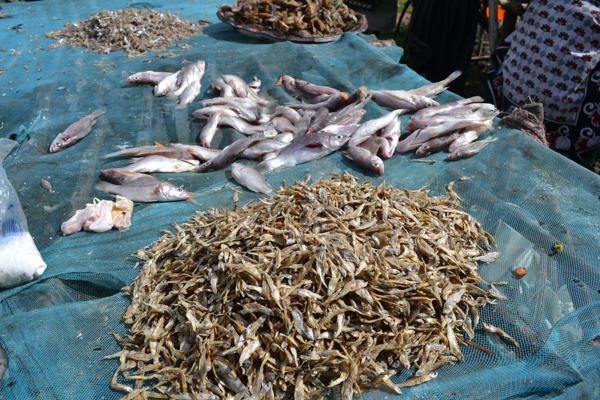 Detection and Quantification of Oestrogenic Endocrine Disruptors in Water in Mwanza Gulf in the Lake Victoria Basin, Tanzania. Huria: Journal of the Open University of Tanzania. Vol 16 (2014). 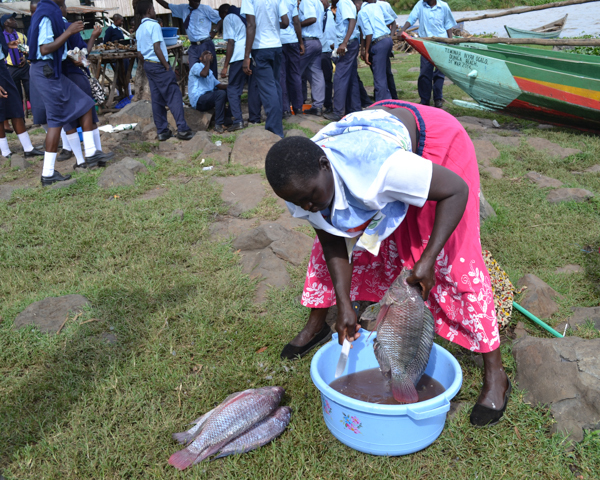 A woman prepares fish at busy Dunga Beach. 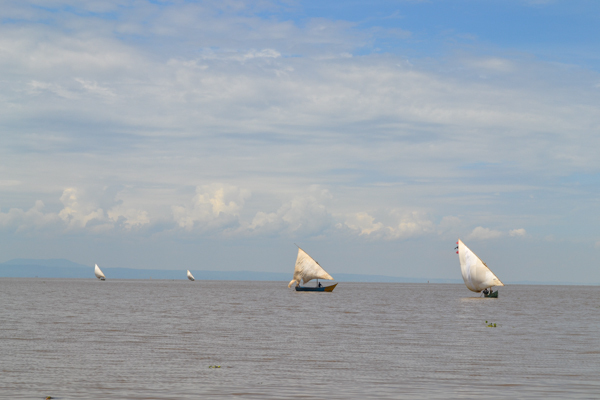 Photo credit: Isaiah Esipisu. <name=”publish”>This article was produced under the Mongabay Reporting Network and can be re-published on your web site or blog or in your magazine, newsletter, or newspaper under these terms.